First, RE/MAX Associates are "The Hometown Experts With a World of Experience™." Across the globe, they make their living in the same communities in which they live. They're the people next-door, or just down the block. View a sample of our professional high quality video marketing of Pearland, TX Homes to see what I can do for you! Click here to view more videos. 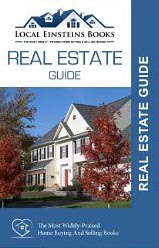 Want to know the real estate market stats in your community? Find out what homes are selling for, community information and more. A Market Snapshot shows you market trends in the Greater Houston Area of your choice. It charts live market activity including data such as sold homes, properties for sale, inventory counts and days-on-market. For Buyers, you can get information on a home you are interested in and also get additional school and community reports as well. And, it's FREE!! Click here and sign up today!